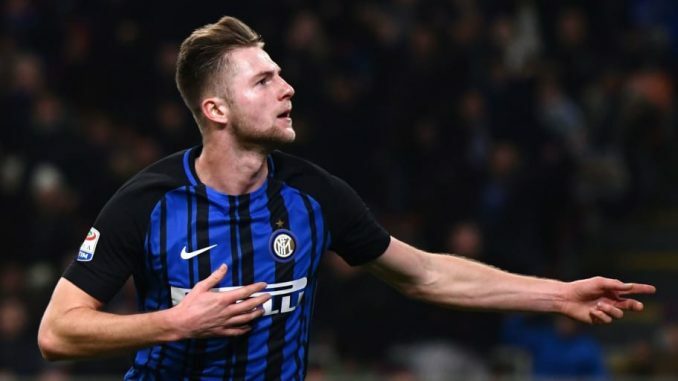 Having proved himself as a fundamental figure for Inter Milan, Manchester United and Barcelona transfer target Milan Skriniar has dismissed speculation of an exit. The 23-year-old star joined the Nerazzurri last season and proved to be a vital component for Luciano Spalletti’s side as they secured qualification for the UEFA Champions League. Considering his important role and ongoing development in Italy, it’s easy to see why Milan would be happy to stay. But as noted by the daily tabloid newspaper The Daily Express, both Manchester United and Barcelona have been touted with an interest in the Slovakia international star. However, it becomes visible as though an exit is not in his thinking as Skriniar spoke about his happiness at Inter Milan, as seen in his quotes below. “It’s always nice that the big teams are looking at you, but I’m good at Inter, the fans can rest easy, as a team we find ourselves well not only on the pitch but also off it too,” Slovak defender is quoted as saying by sports television channel Sky Sport Italia journalist Gianluca Di Marzio.